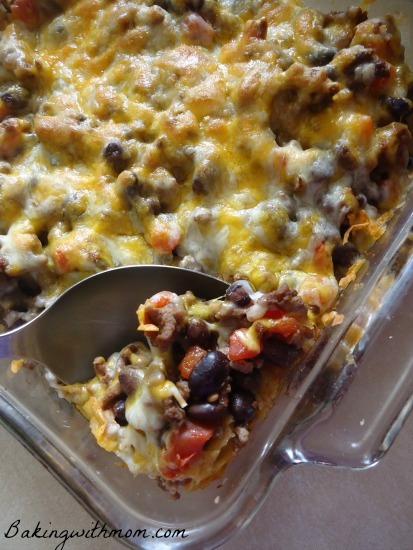 Taco tortilla casserole has all the favorite ingredients of tacos but in a casserole form. It is more frugal because it uses less hamburger than tacos. When you have a large family, it is important to cut corners when you can. What is in taco tortilla casserole? You can add most of your favorite taco ingredients. I used spicy tomatoes, but you can use regular canned tomatoes. There were black beans as well as seasoned hamburger. If you don’t like using store bought taco seasoning, you can use homemade seasoning. Cheese is always a favorite around here and you can use really any kind you have on hand. I recommend using taco cheese if you have it. Cheddar would work well as well. 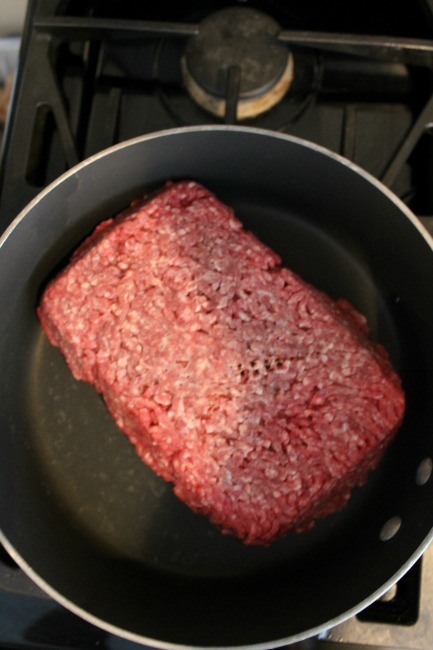 Simply put the hamburger in a frying pan and cook until no longer pink. Add the taco seasoning. Then add the beans, tomatoes and tomato sauce. Cook for 5 minutes. Place 1/2 cup tortilla chips on bottom of pan then add 1/2 the hamburger mixture. Add 1 cup of cheese. Next add other 1/2 of hamburger mixture. Sprinkle 1/2 cup of tortilla chips on top of hamburger mixture. 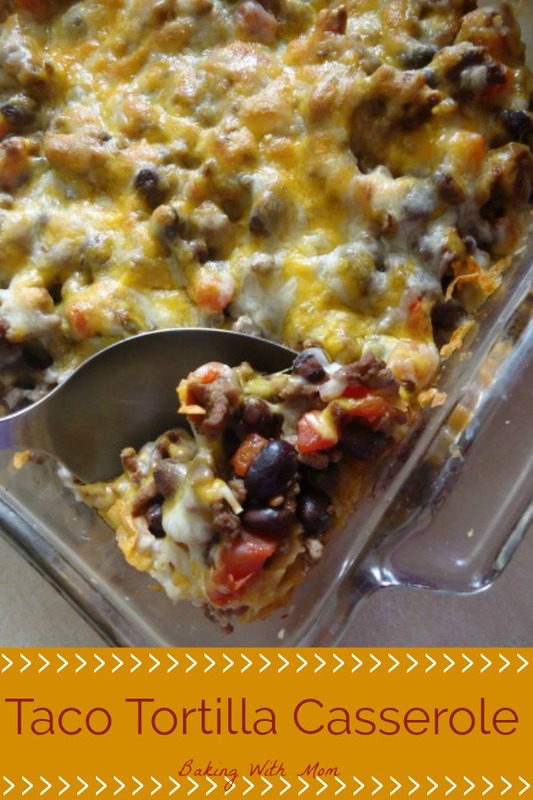 This taco casserole is very easy to put together. Some simple sides would be brown sugar apples, sizzling bacon corn and cookies and cream gooey butter cake for dessert. 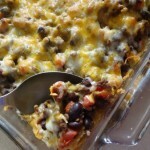 Taco Tortilla Casserole is a quick to put together casserole with all of the taco favorites in one dish. Beans, spicy tomatoes and hamburger makes up this delicious and easy casserole. After cooking hamburger until no longer pink and adding seasonings, add beans, tomatoes, tomato sauce to pan with hamburger. Stir and let cook on medium heat for 5 minutes. Place 1/2 cup tortilla chips on bottom of lightly greased square 8 or 9 inch baking pan. Add 1/2 of hamburger mixture. Repeat layer starting with the tortilla chips. Cover and bake for 20 minutes at 375*. Remover foil and bake for 5 more minutes.